What happened in the lithium market this year? Here’s a look at the major lithium trends of 2018, from oversupply reports to IPOs. The increasing popularity of electric vehicles (EVs) is at this point undeniable, with automakers from Volkswagen (FWB:VOW) to Mercedes Benz announcing the launch of new models and plans at an unstoppable speed. Given Benchmark Mineral Intelligence’s prediction that lithium-ion battery capacity will reach 1.3 TWh, there is little doubt that demand for lithium, a key element in EV batteries, is set to surge. But what were the major trends in the lithium market in 2018? Here, the Investing News Network (INN) looks back at what happened in the space, including major developments, deals and announcements. Read on for an overview of the factors that impacted the lithium market last year, from the main supply and demand dynamics to how analysts thought the metal performed in each quarter of the year. The first quarter of the year was a busy one for the lithium market, with major announcements and deals, as well as increasing supply concerns impacting the space. In January, top lithium producer SQM (NYSE:SQM) ended a long-running dispute with Chilean development agency Corfo over royalties in the Salar de Atacama. As a result, SQM will be able to expand its annual lithium carbonate equivalent production to at least 216,000 tonnes by 2025. The SQM-Corfo agreement was anticipated and welcomed by analysts and market participants alike. After SQM signed its deal with Corfo, the market continued to perform with volatility, and stocks took another hit when Morgan Stanley (NYSE:MS) released a forecast predicting prices could fall by 2021. Analysts at the firm said growing demand from the electric car sector would be insufficient to offset increasing supply from Chile. However, lithium experts and CEOs did not take long to reply to the bank’s forecast, with many pointing to the lithium sector’s history of delayed mine ramp ups and processing problems. At the time, Benchmark released a research note to address oversupply concerns, noting that the most important thing to keep in mind is that to impact prices for lithium carbonate and lithium hydroxide, the focus has to be on which companies are creating high-quality battery-grade chemicals. Another major announcement in the space came in February, when major lithium producer Ganfeng Lithium (SZSE:002460) filed a US$1-billion IPO in Hong Kong. The company said it would use the money for acquisitions, further exploration and to expand capacity to meet growing demand from the EV sector. US-based FMC (NYSE:FMC) also announced plans to spin off its lithium business in a US$500-million IPO. During the second quarter of the year, Chinese lithium producer Tianqi (SZSE:002466) continued to face challenges related to the potential purchase of a minority stake in Chile’s SQM. Later in the quarter, Tianqi said it was set to buy a 24-percent stake in SQM for US$4.07 billion in a deal that would allow the company to expand its assets, which also include a 51-percent interest in the Greenbushes mine in Australia. “The Tianqi purchase of a significant interest in SQM demonstrates how the lithium world is changing,” Lowry told INN after the news. “China-based Tianqi and Ganfeng are now well-established ‘Big 4’ producers with ownership of resources, global footprints and strong alliances. They are no longer just converters. Expect more change in the ‘Big 4’ landscape in the coming year,” he added. Meanwhile, during the period, diversified miner Mineral Resources (ASX:MIN) announced plans to sell its minority stake in the Wodgina lithium project in the Pilbara region in Australia. Also in Q2, many junior miners released news and published reports as they advanced their projects to the next stage. One of the most important pieces of news came from Nemaska Lithium (TSX:NMX), which received a strategic investment of C$99.1 million from Japan’s SoftBank Group (TSE:9984). Days after, Nemaska entered into a US$150-million streaming deal with Orion Mine Finance Group. In Australia, Galaxy Resources (ASX:GXY) signed an agreement with South Korea’s POSCO (NYSE:PKX) to sell tenements in Argentina for US$280 million. The deal was completed in the last quarter of the year. Near the end of Q2, Lithium Americas (TSX:LAC,NYSE:LAC) released positive prefeasibility results for its Thacker Pass project in Nevada. Meanwhile, ASX-listed Pilbara Minerals (ASX:PLS) produced the first concentrate at its Pilgangoora project in Western Australia. 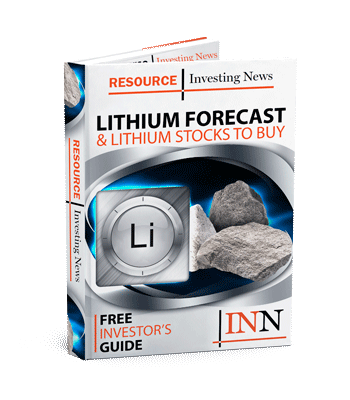 “Whether it’s a car maker or a big battery materials company, there is insatiable demand [for lithium],” Pilbara Minerals Managing Director and CEO Ken Brinsden told INN after the announcement. Similarly, Benchmark’s Simon Moores told INN back in Q2 that demand for lithium was still strong, and was getting stronger in the medium term. Looking over to supply, “the story is how much of Chinese conversion capacity is going to be real capacity and then make its way to the battery market,” Moores added. Speaking about prices, he said carbonate prices had come off a little bit in the quarter, while hydroxide prices had remained very strong. At the beginning of the third quarter, Nemaska Lithium signed a deal with Korean battery maker LG Chem (KRX:051910) to supply 7,000 tonnes per year of lithium hydroxide produced at its commercial plant in Quebec. For its part, Chile’s SQM (NYSE:SQM) said it was seeking government approval for a US$450-million lithium carbonate plant expansion. China’s Tianqi announced it was seeking to list in Hong Kong and raise up to US$1 billion, money it plans to use in part to pay for the stake of SQM it purchased back in May. The deal was delayed due to an investigation by Chile’s competition authority. In August, Ganfeng Lithium signed a deal to buy SQM’s stake in Lithium Americas’ Argentina project, boosting Lithium Americas’ share price and increasing SQM’s stake in the global lithium market. The deal was seen as a “win-win-win” deal and as a good agreement for the industry as a whole. Later in the quarter, Ganfeng signed a deal to supply lithium hydroxide products for Tesla’s (NASDAQ:TSLA) batteries from 2018 to 2020. During September, the company also announced an agreement with BMW (ETR:BMW) to supply as much lithium as the German automaker might require for five years, as electric car makers continue to look for ways to lock in long-term supply of the metal. Additionally, the Chinese lithium producer signed a deal with Korean battery maker LG Chem to almost double its supply of battery materials from 2019 to 2025. “This escalation in downstream interest shows that lithium supply remains a key concern throughout the battery supply chain,” said Benchmark Mineral Intelligence Senior Analyst Andrew Miller. That said, for Benchmark, the market performed as expected during the quarter. Meanwhile, Roskill Deputy Manager David Merriman said the market had performed as forecast, with the startup/start of shipping at three operations — those belonging to Pilbara Minerals, AMG Lithium and Altura Mining (ASX:AJM) — improving spodumene availability for their respective offtake partners. Additionally, Chinese brine operations continued to supply low-cost, poor-quality material into the Chinese domestic industry. For Merriman, there were a couple of surprises in the market during the third quarter. Firstly, the speed at which Chinese lithium prices declined, which has had an impact on some producers, and secondly the growth in EV sales, which has exceeded expectations. For his part, Miller said that a key challenge for the industry in Q3 was determining how the short-term decline in Chinese domestic pricing translates to rest of world price levels. “It is clear [from our in-depth analysis] that the rapid decreases have firstly, largely been isolated to the Chinese market, and secondly, they have been focused on lithium carbonate rather than other chemicals,” he said at the time. Chart via Benchmark Mineral Intelligence. During the last quarter of the year, lithium continued to make news headlines around the world. After IPOS from Ganfeng and FMC’s Livent did not live up to expectations, another lithium major, Tianqi, was able to close its purchase of a minority stake in SQM. In November, Orocobre (ASX:ORE,TSX:ORL) and its joint venture partner Toyota Tsusho (TSE:8015) approved a US$295-million Stage 2 expansion of the Salar de Olaroz lithium brine project in Argentina. Meanwhile, in Australia, Albemarle joined forces with Mineral Resources to develop the Wodgina hard-rock lithium mine, showing that lithium hydroxide is being favored for its use in higher-energy-density batteries. But it wasn’t all good news for Albemarle this quarter, as its drama in Chile continued. State development agency Corfo is set to present an arbitration suit against the lithium miner by mid-December, claiming the company has not adhered to the terms of a 2016 contract. According to Reuters, Albemarle has also launched a lobbying campaign to allow it to boost lithium output from the country. In addition, both SQM and Albemarle, the world’s largest lithium producer, reported unexpected production problems that hit their quarterly output results, though prices remained strong due to increased demand. “The price that we have seen is a result of very strong demand, stronger than we originally anticipated, and also there has been a delay in some of the production promises,” SQM CEO Patricio de Solminihac said in a conference call where he announced that the company’s profits fell in the third quarter. Interested in knowing what else happened in the lithium space this year? Read through our list of the top lithium news stories of 2018. And to learn more about what could be next for lithium, stay tuned for our lithium outlook 2019 from analysts and companies.